Explore new instruments and learn the building blocks to being a musician in this class designed for our young students! Based on our popular Discovering Suzuki Summer Camp, this six-week class provides a fun introduction to the violin and cello. Students will learn the parts of the instrument, how to care for a string instrument, and how to hold an instrument and bow. 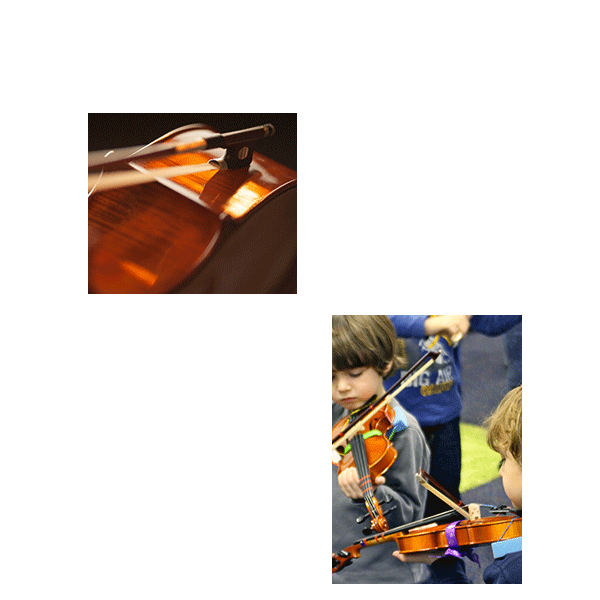 It will provide an overview of concepts important to beginning future string studies and include other fun music, movement and listening games. Come discover the joy of beginning violin as a community! This class is designed for both students who have no previous experience and their caregivers.